Alexandra Morris has mastered the art of hospitality; her longstanding history of all things food and travel have allowed her to create a renowned enterprise that has people talking. With a devoted and talented service team, Morris’ events never fall short of perfect. Expert Alexandra Morris continues to astonish her clients with her stellar boutique service provided by her company Tastings NYC & SoFlo. Her close-knit team unites their individual, and multicultural, passions for food, wine, cocktails and entertaining to create and execute extraordinary events. While working within the clients desired budget and comfort zone, Morris’ dedicated staff strives towards growing special relationships, promising a product that reflects their clients’ desires and personality while providing hospitality and phenomenal food in an outstanding setting. Morris praises her executive chef, Cédric Durand, and his assistant culinary team, Jeremy Enriquez, Benjamin de Kruif, and Valentino Ramos, for their exceptional cuisine as well as the rest of the team for their ability to collaborate and produce an authentic experience while still maintaining close attention to the clients’ specific needs. Tastings NYC & SoFlo highlights their signature cocktail dinner service called Tastings Dinatoire; this service is a hand-passed roaming dinner that is unique to Tastings. Guests are offered the opportunity to sample a large variety of delicious tastings while able to both mingle and socialize freely as the service team executes every detail perfectly. Tastings Social presents two restaurants, Mountain Bird and GAUDIr, that serve French and tapas-styled food. While both restaurants are in East Harlem, GAUDIr offers a Modern-style Spanish tapas environment. Tastings Chef Cédric Durand serves up his best family-style dishes every Monday at this chic hot-spot. Mountain Bird, a French boutique spot, offers a menu of all things fowl and poultry related, which is how the restaurant was coined “Mountain Bird." Chef Kenichi Tajima and his wife Keiko have mastered the art of offering exceptional food at affordable prices in an authentic atmosphere. Being that you are a graduate from FIT, and have earned your B.S. in marketing and advertising, when did the switch shift to hospitality? How did you know and what changed? ALEXANDRA MORRIS: I’ve always loved food and wine as well as entertaining and having guests to my home and thinking of different ideas for entertaining for them. When I was at FIT I was working in restaurants in the evenings to earn extra money and simply fell in love with it. I fell in love with the process of making people feel good, welcome and happy. 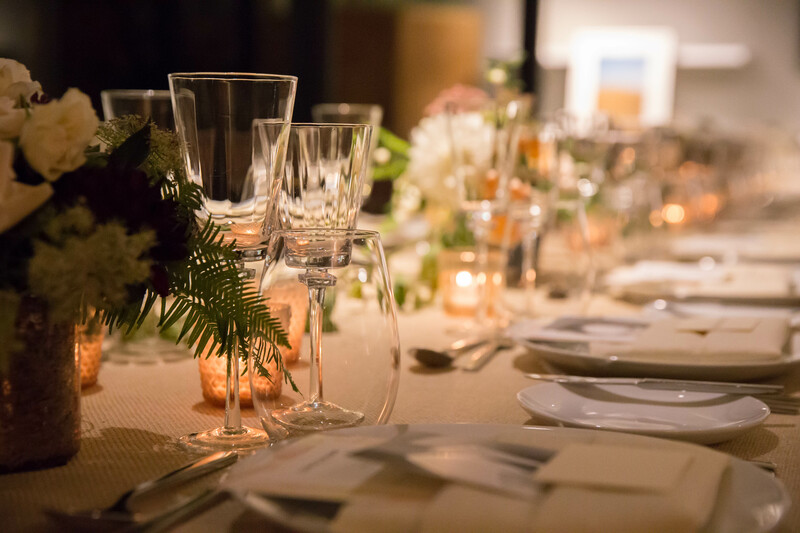 It seems you have an extensive background traveling and experimenting with international plates, how do you try to incorporate these into the events you plan for clients? AM: I like to travel and to take new ideas from different markets, restaurants, cocktails architectures, museums. The whole experience of getting off the plane, landing, arriving somewhere new, being in a different place culturally, seeing and talking to different people, it is inspiring and it brings out different ideas regarding food, wine and hospitality. Then I simply take it from there, I combine these new ideas with the well of ideas that already exists, one inspiring idea can spark a whole new combination of flavors and food. Take me through the process of the creation of Tastings. What were some of the challenges you faced during its initial startup? AM: We started little by little, very easily entertaining and bringing food to peoples’ homes as service. The challenge was trying to come up with the actual culture and mission of Tastings and to make sure that it translated what we were trying to achieve. Consequently, making sure that this mission and vision was translated by everybody in the team. We try to uphold our mission and vision by creating a company culture, we work in an open office environment which helps get everybody in the same mindset, which hopefully translates to our guests through an open and warm environment. You’re a connoisseur of all things food; what is your favorite dish to cook? AM: I like to to prepare family, comfort style, braised dishes. I like making duck confit, which took me a few tries to get right but with the help of our chef Cédric I was able to master it. I also make this short rib dish, which is a staple in our household, with grinded chipotle pepper and root beer. That being said, I like to try everything, I like to learn how to make new dishes and experimenting with food. Looking back, what do you consider a successful event and what measure do you take to ensure that end goal? AM: The best way to describe a successful event would be euphoria. When, at the end of the event, everything comes together; you are engaging with the client, the staff is working seamlessly, guests are happy and there is an ambiance in the room that you can just feel. Then, when you wake up the next day and you realize that everything worked out exactly as it was supposed to, and that sense of euphoria hits. To have that perfect combination is difficult and it is not always that have that sense euphoria. We did a big event for the French President Sarkozy and Carla Bruni-Sarkozy. It was an event for 3000 people and we worked extremely hard. A lot of work and detailed planning went into it. We prepared the green room for the president and his wife and we had to interview each of the 80 servers to make sure they were an appropriate fit for the event. At the end of the event, the council general bowed, took my hand and kissed it as a sign of gratitude and in that moment I was so relieved that everything had gone according to plan as we had put so much time and effort into that. The only way to ensure and event goes smoothly is by a lot of planning and attention to detail on every level. You have to have foresight thinking, anticipate things that could go wrong and prepare for these cases and when something unexpected goes wrong you have to be able to solve the problem without the client noticing.